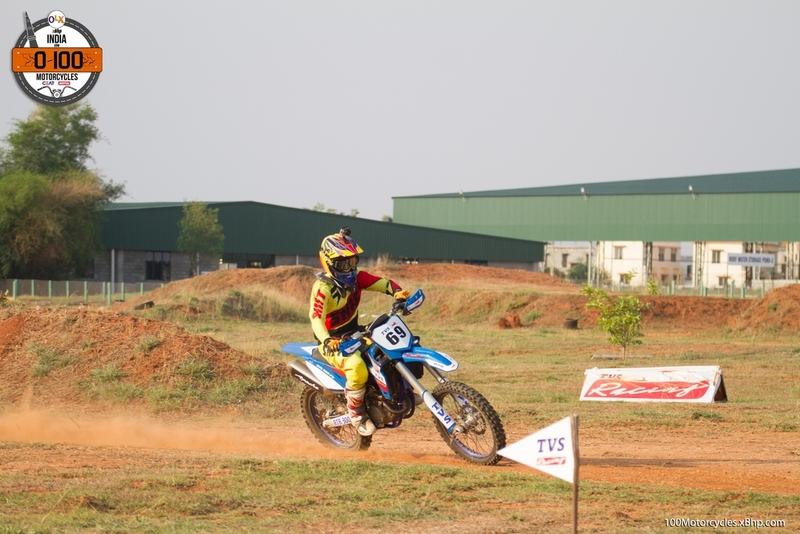 TVS is one of the only two Indian motorcycle manufacturers who are actively into motosports. 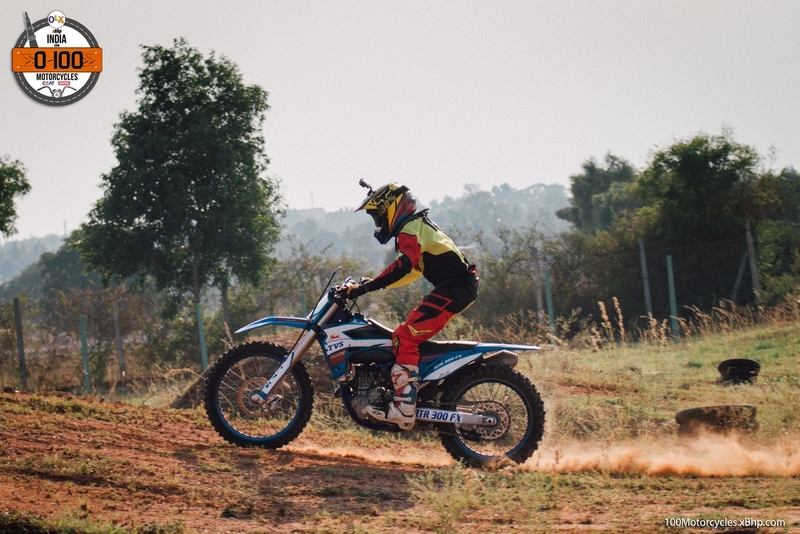 The other is Mahindra which is competing in the smallest class of MotoGP, the Moto3. .
TVS Motor is much more active in motorcycle racing at the national level. 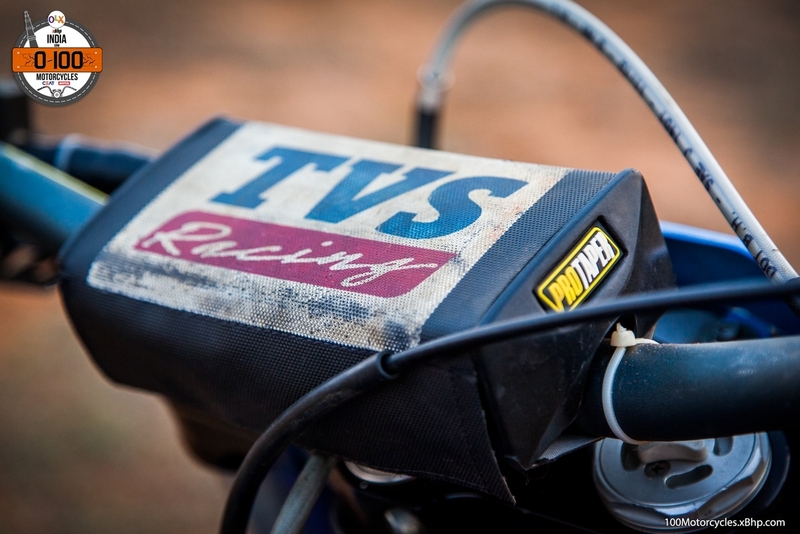 However, the proudest moment came in 2015 when TVS, in partnership with Sherco Motorcycles, entered the prestigious Dakar Rally, making it the only Indian company to do so. 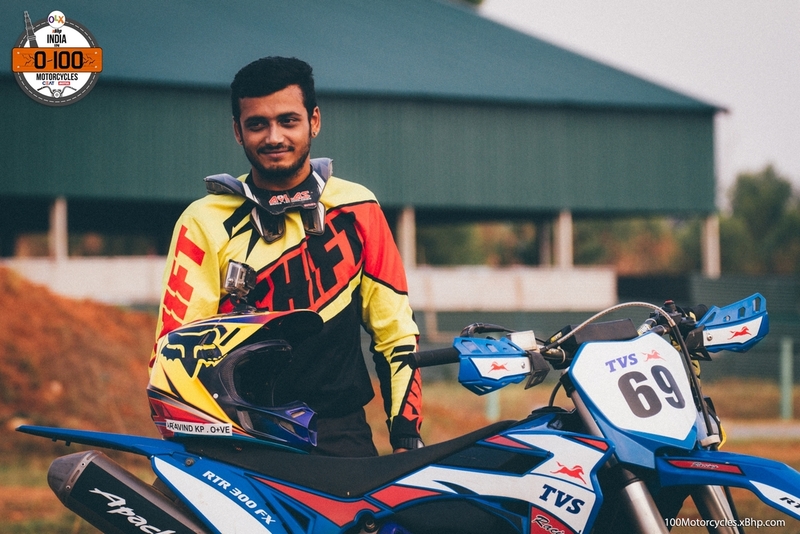 This year, TVS has signed Arvind KP to race in the next installment of the Dakar Rally in 2017. 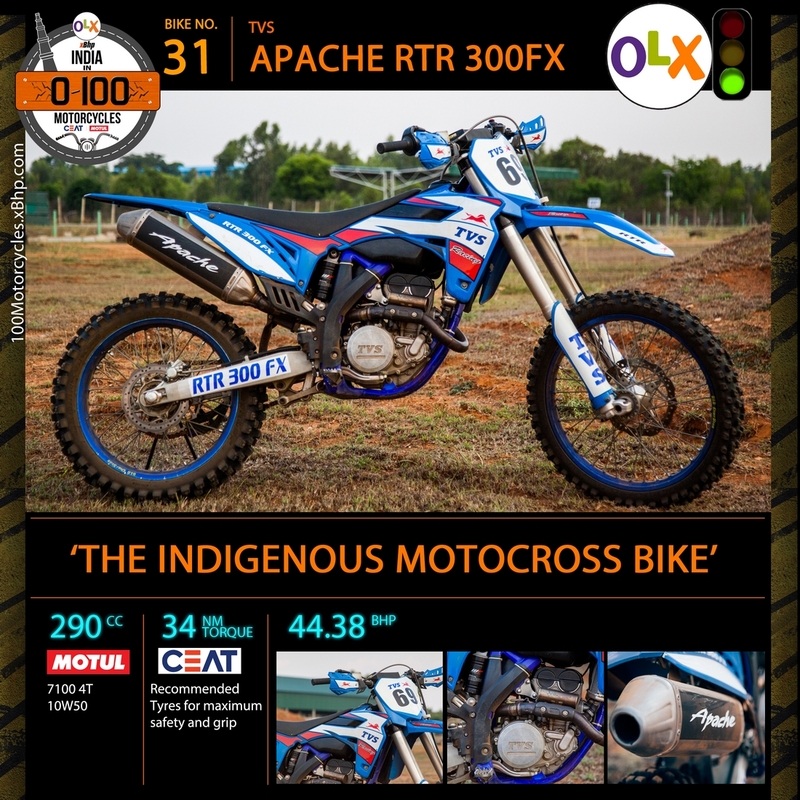 This will be the third time that TVS would be participating in what is considered as the world’s toughest motorcycle rally race. 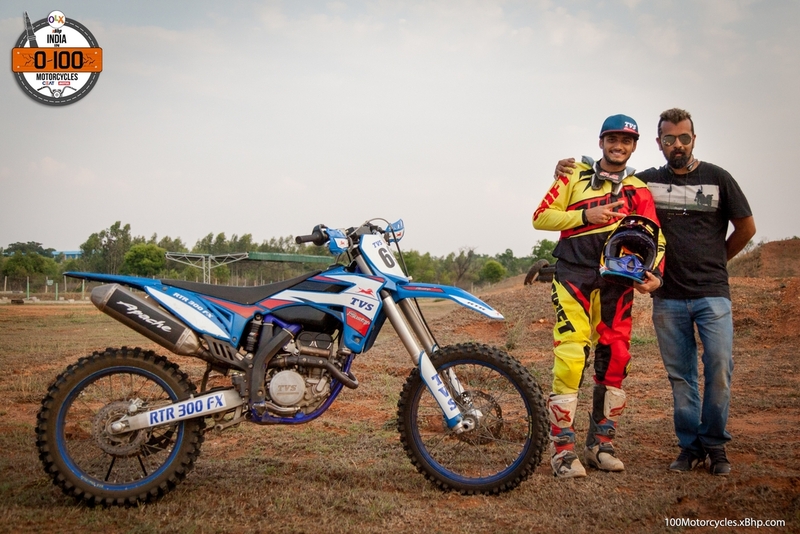 Arvind KP has been riding for TVS Racing since the last 10 years and so it is only appropriate to take him to the highest level. 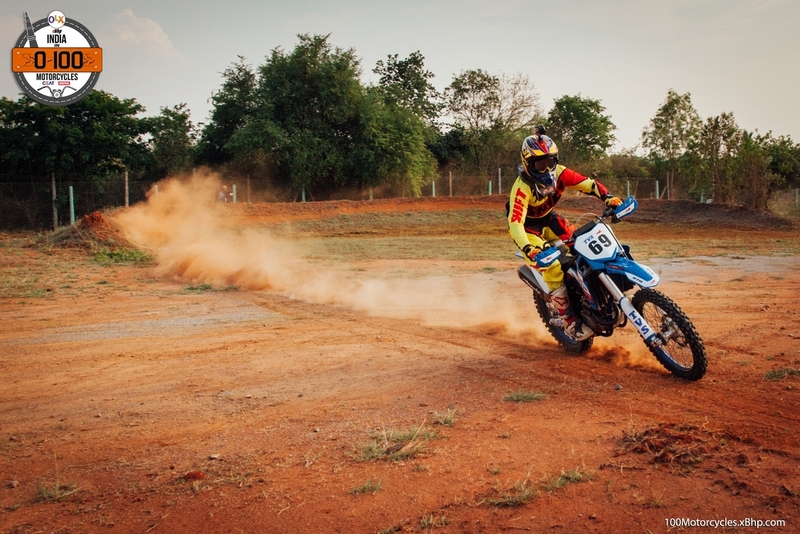 He has 16 national and 1 international titles to his name. 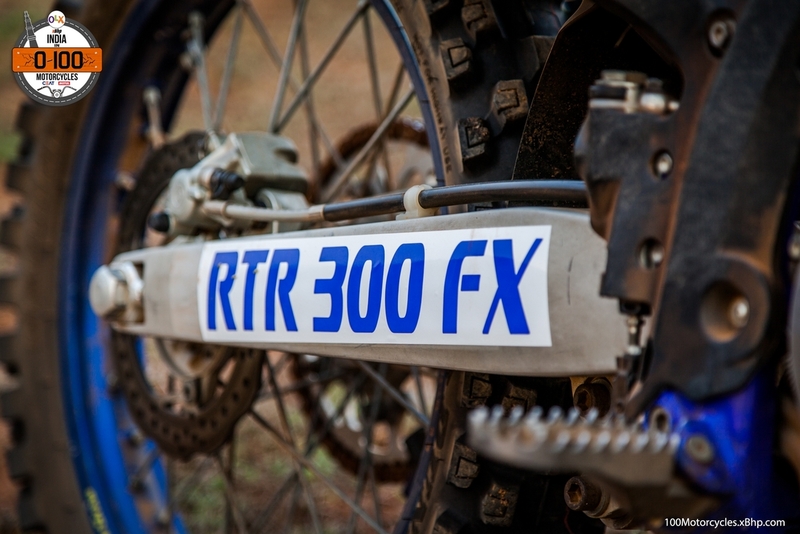 At the moment, though, we are going to concentrate on his ride, the RTR 300 FX. 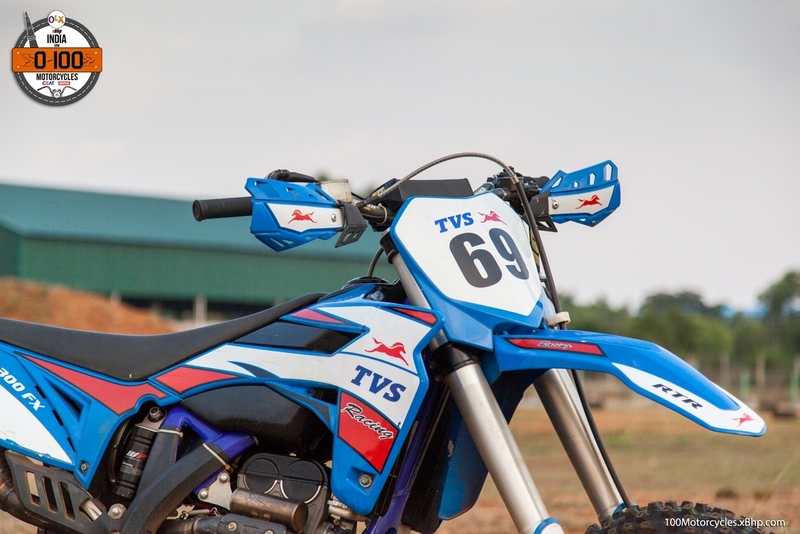 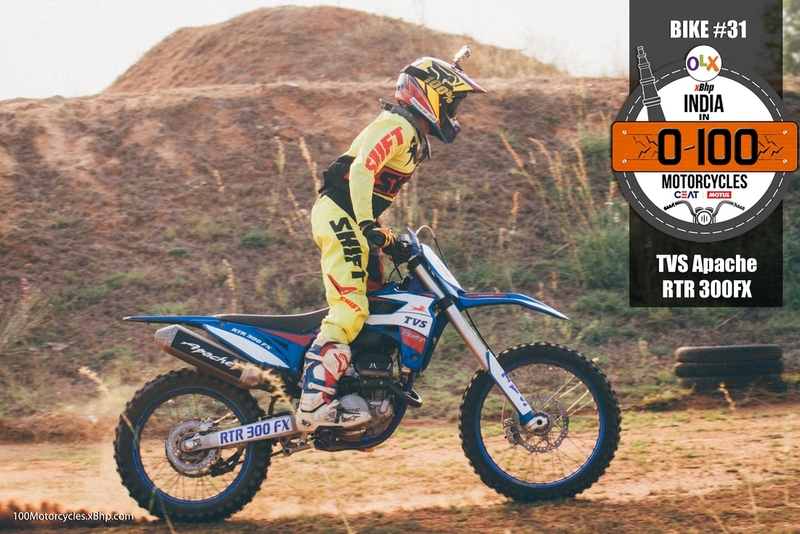 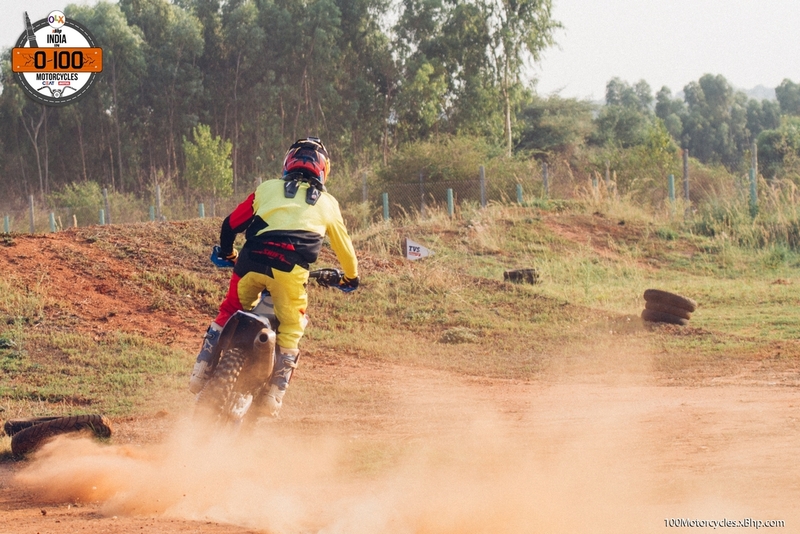 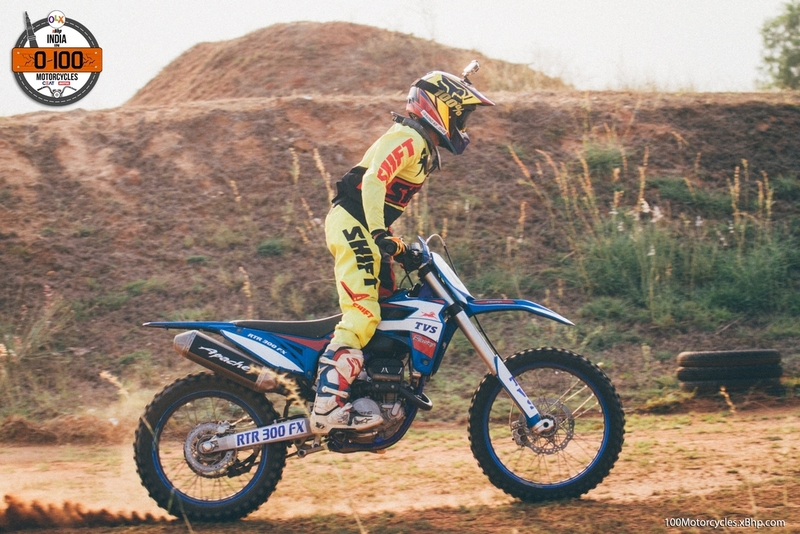 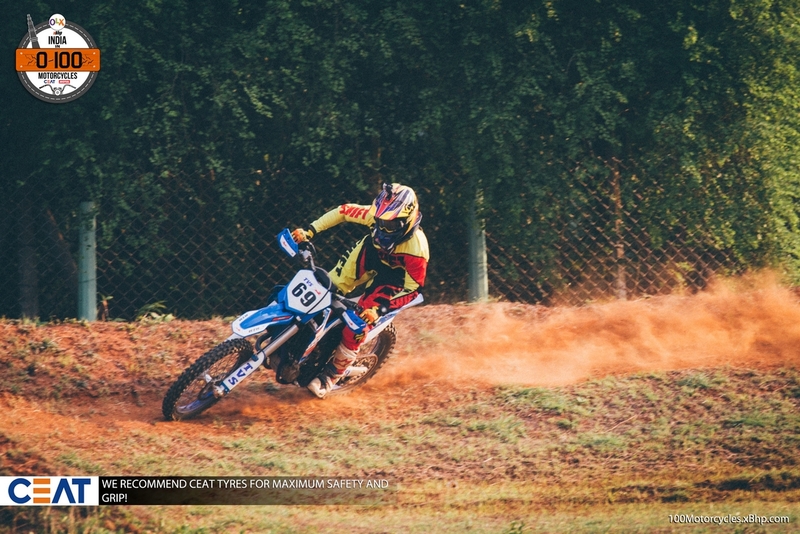 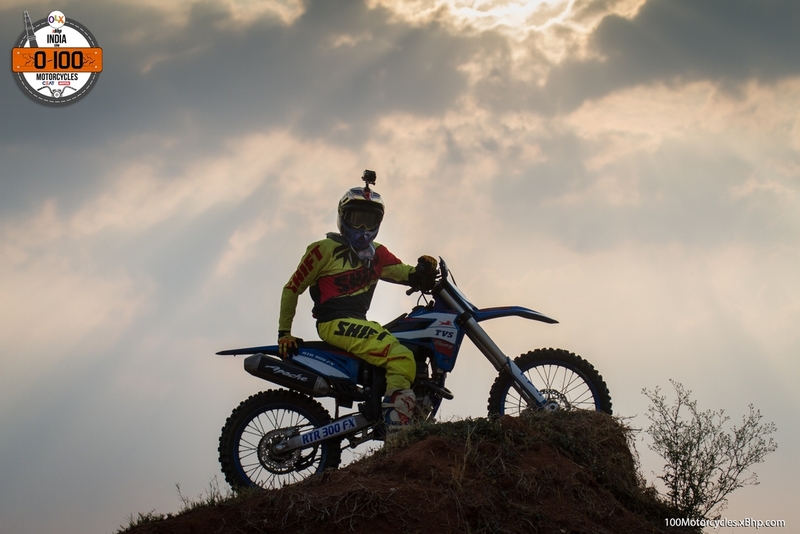 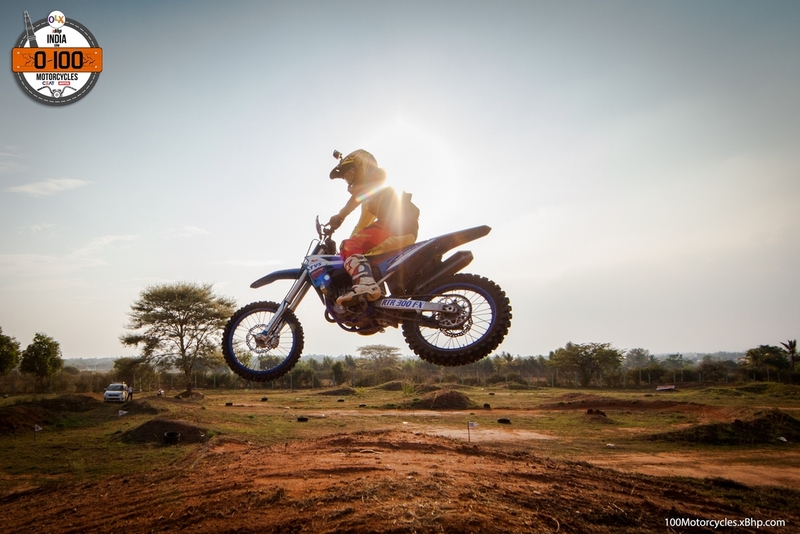 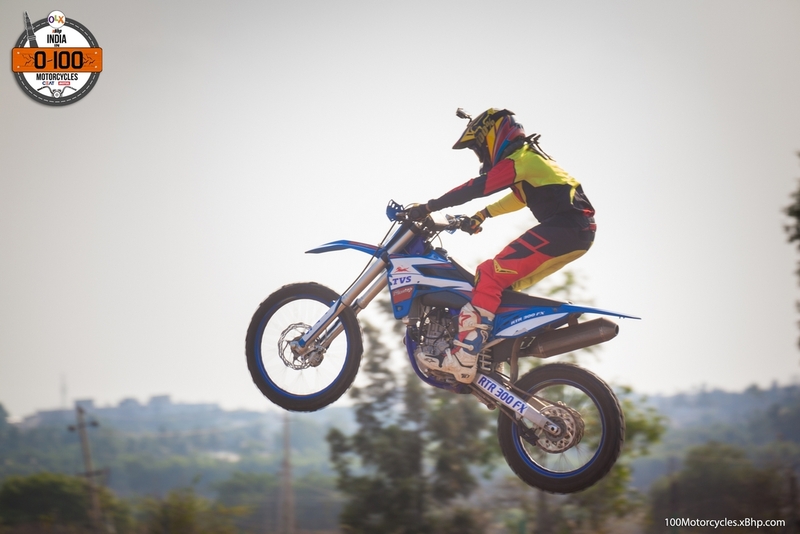 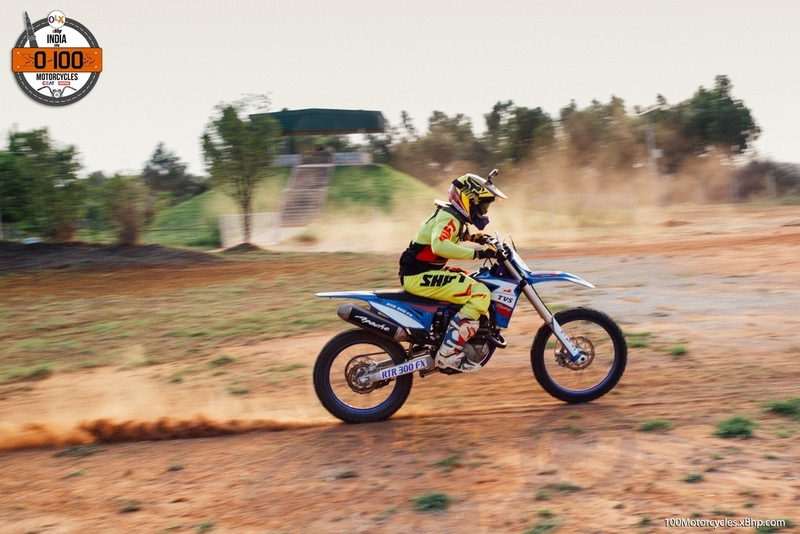 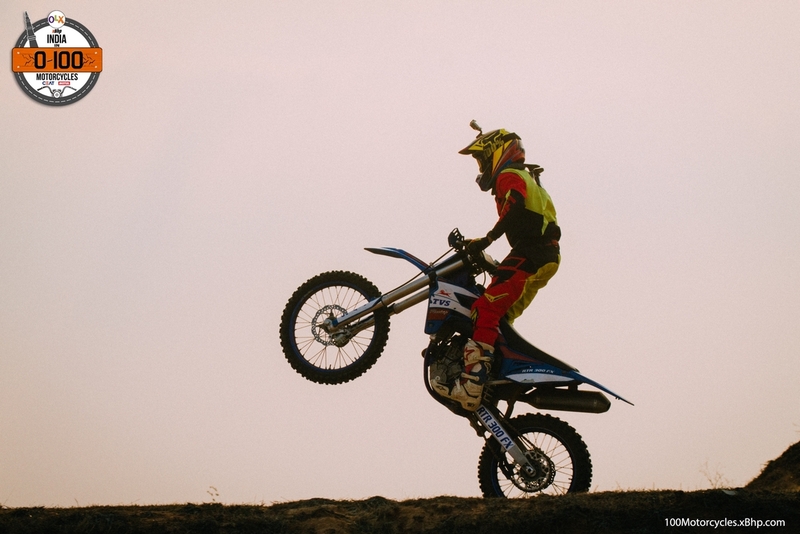 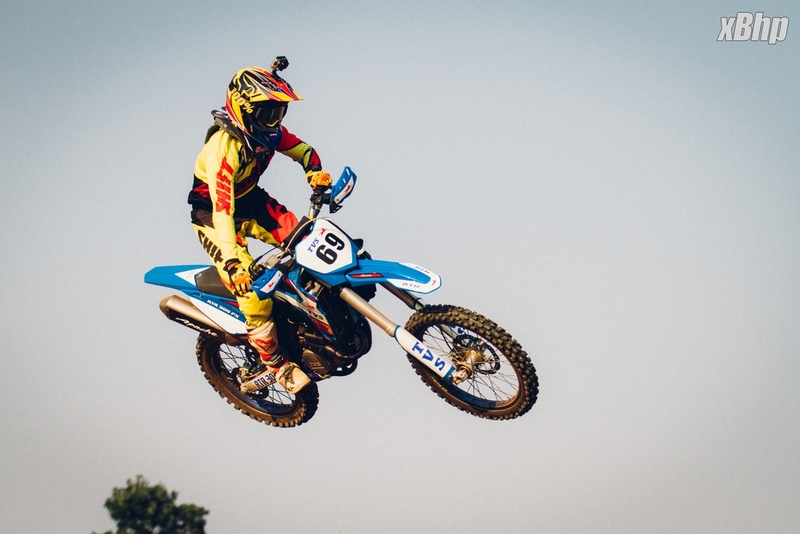 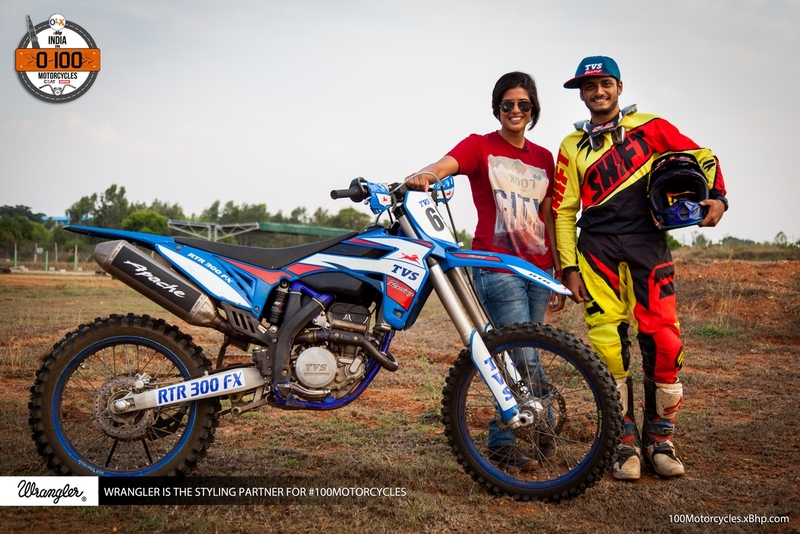 A purposeful motocross bike developed specifically by TVS to be ridden and raced in the motocross environment. 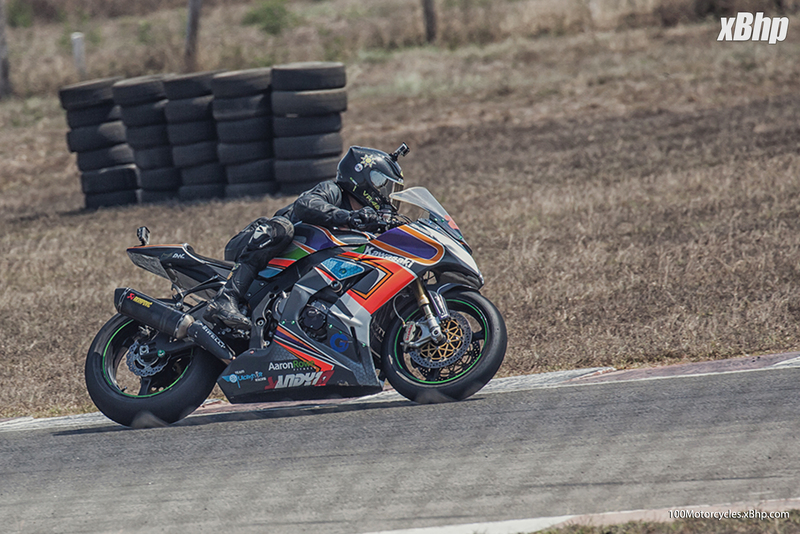 We got the chance to experience it up close at the TVS testing track in Bangalore and ridden by none other than Arvind himself. 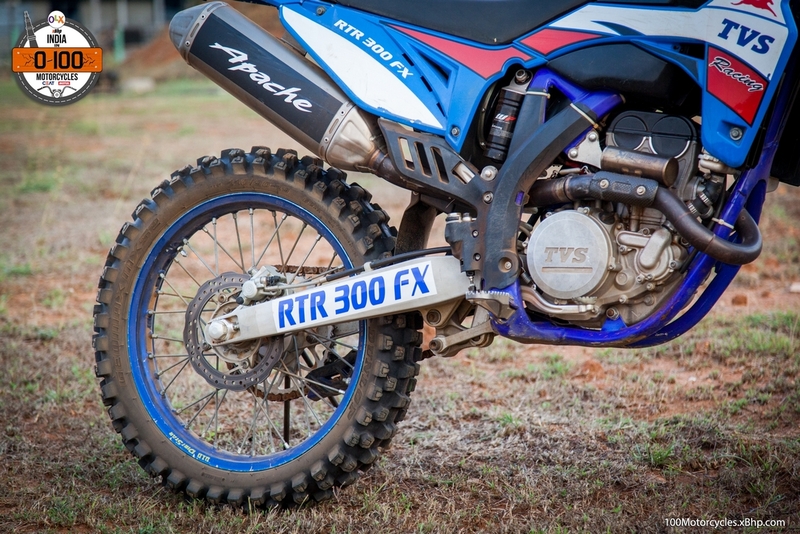 This particular RTR is a thorough dirt bike. 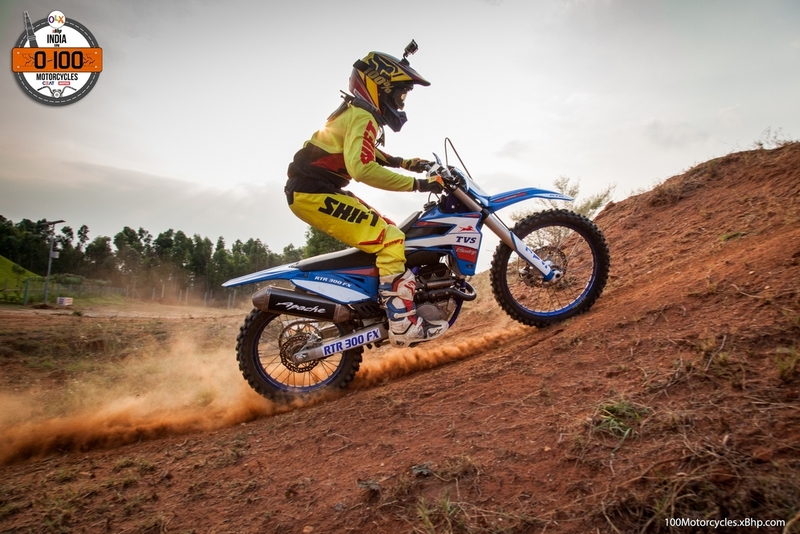 The engine is a 300cc single cylinder 4-stroke 4-valve DOHC high-performance unit. 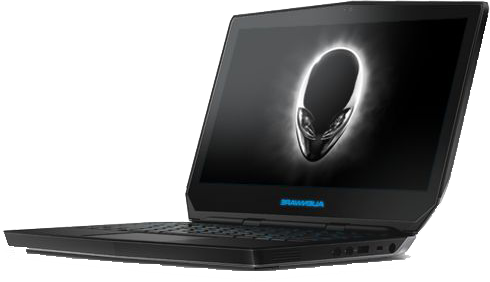 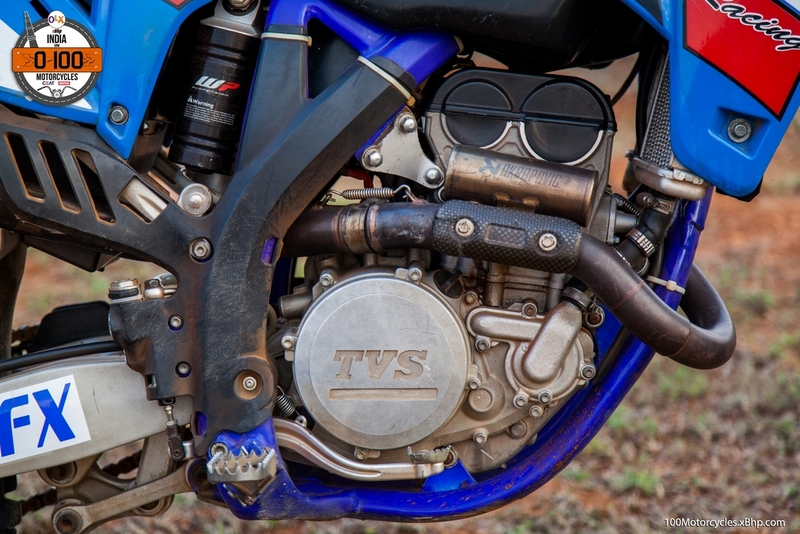 It is liquid cooled and produces around 45 PS of maximum power at 12,000 RPM and 34 NM of torque at 9,500 RPM. 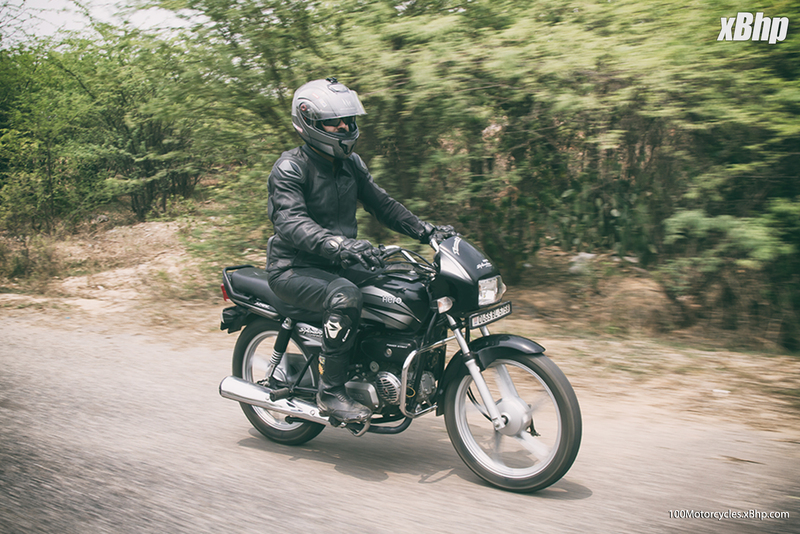 It is mated to a 6-speed gearbox. 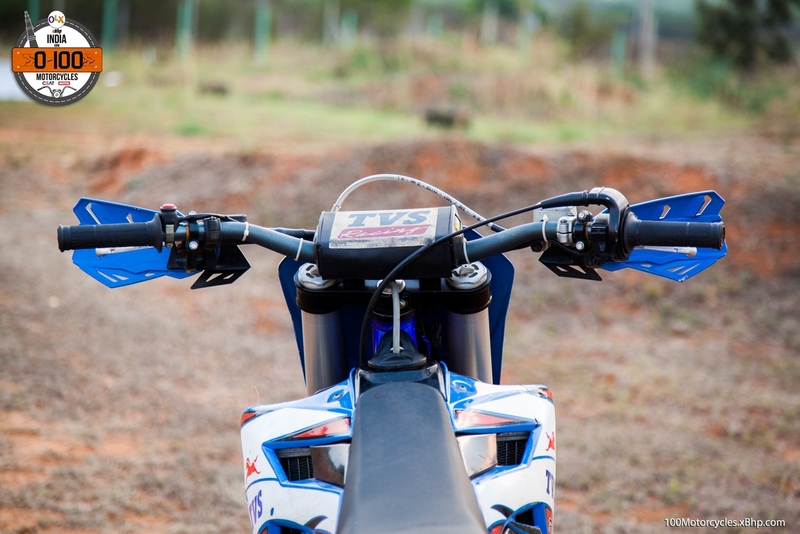 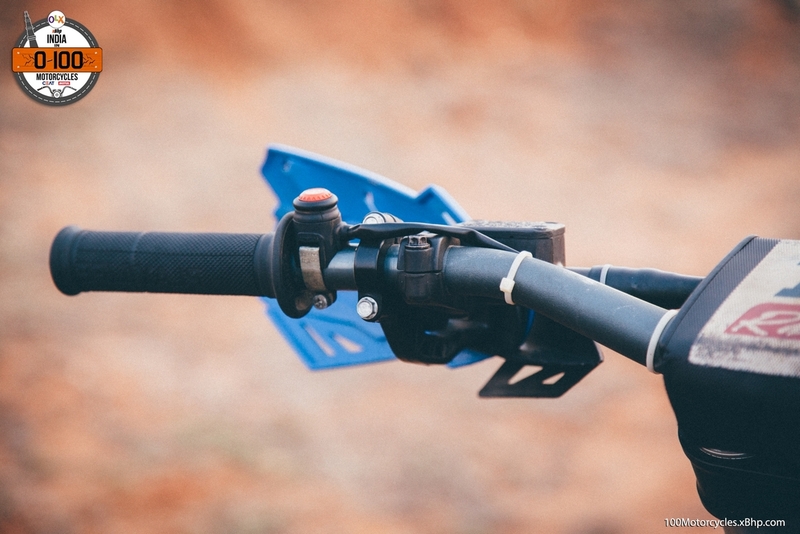 At the front, there’s a pair of substantial looking upside-down forks and a link-type mono suspension at the back. 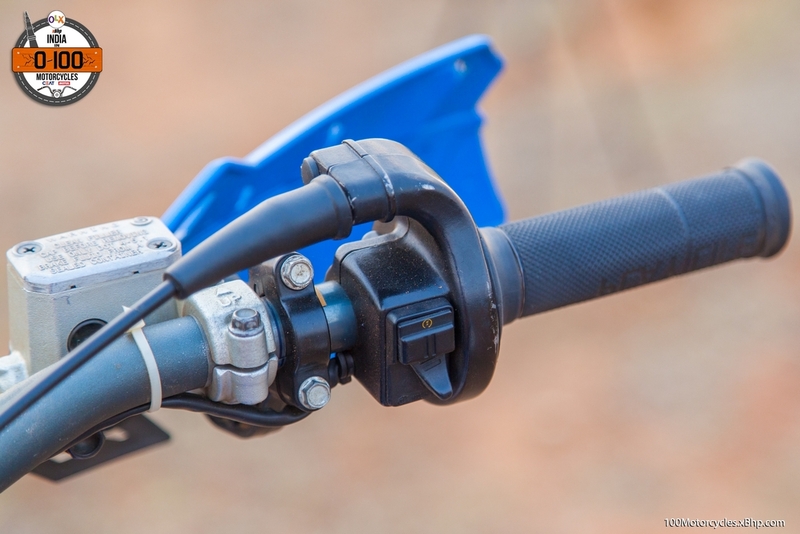 The front and rear suspensions have 17 inches and 12 inches of travel respectively. 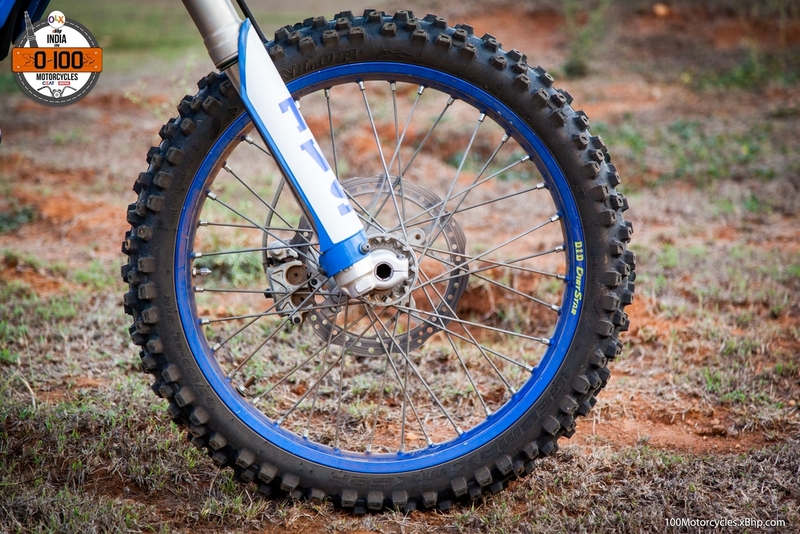 All this is well complimented by a 21-inch front wheel and a 19-inch rear wheel. 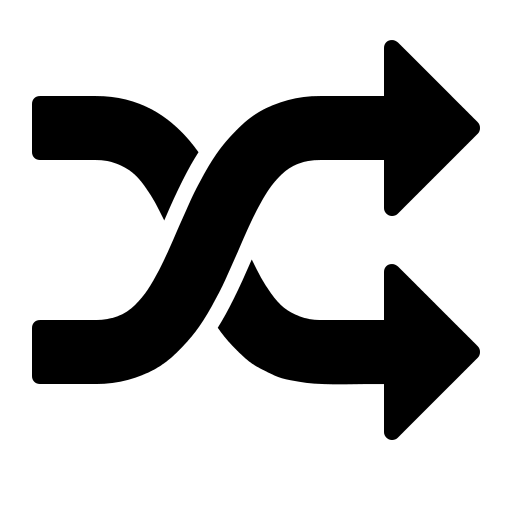 And of course, there’s a single disc each at front and back. 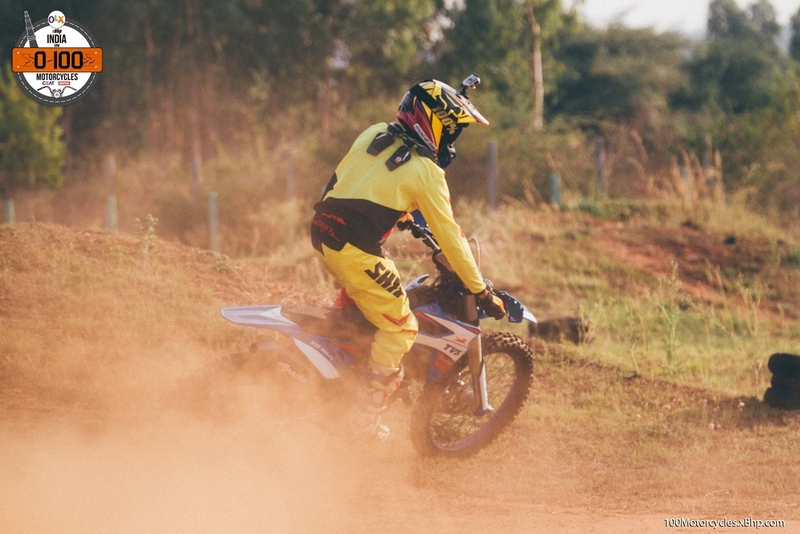 There is no headlight, instead, there’s the racing number plate. 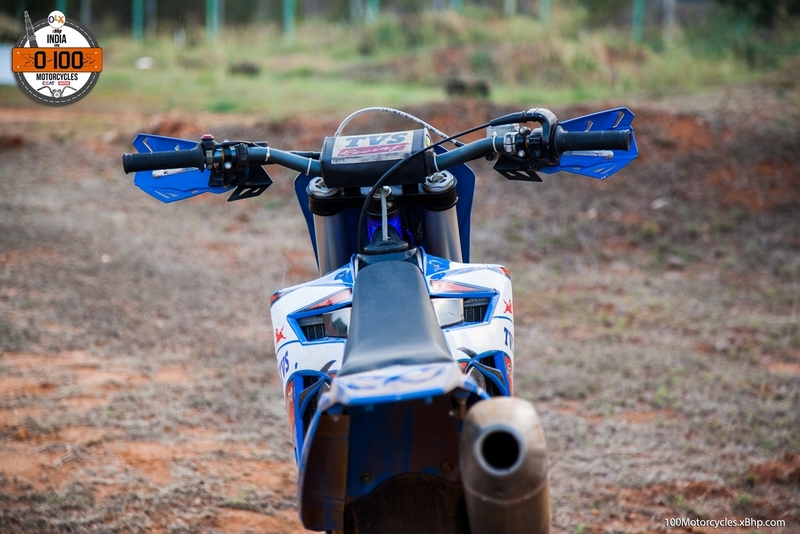 The thin profile and a high mounted exhaust complete the design. 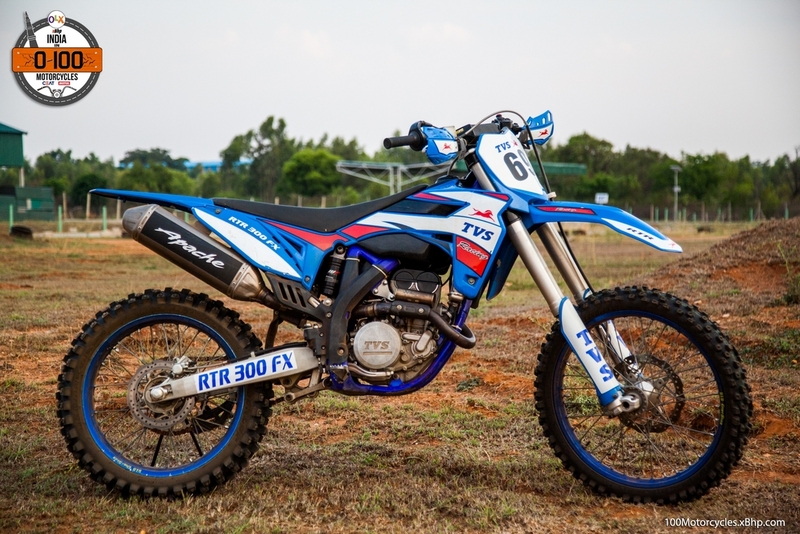 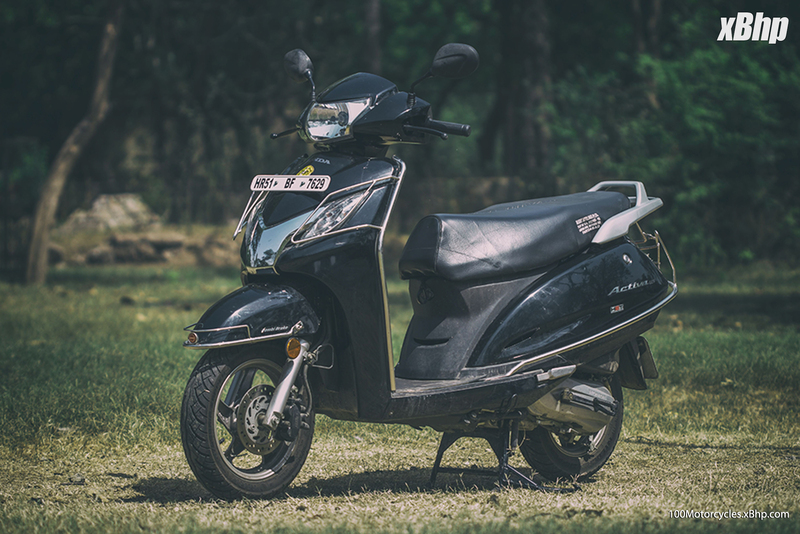 This particular motorcycle, or any other full-fledged dirt/motocross motorcycle for that matter, is not available in India officially (only exception being the Kawasaki KLX 110 which is a kid’s bike). 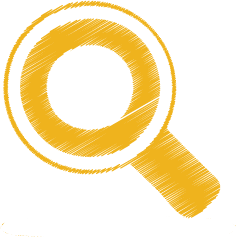 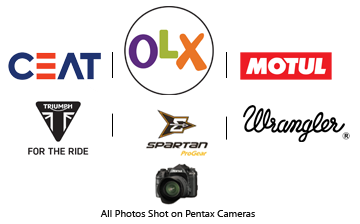 But we are positive that if you want one, you might find something to your liking on OLX. 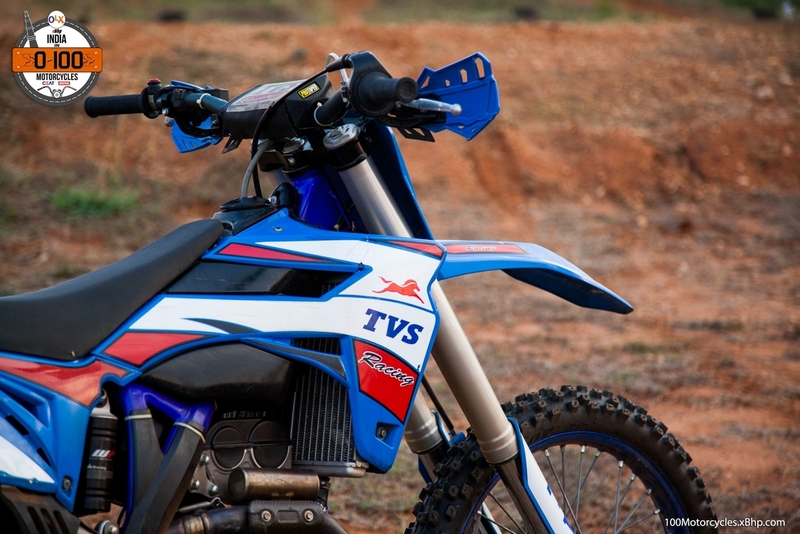 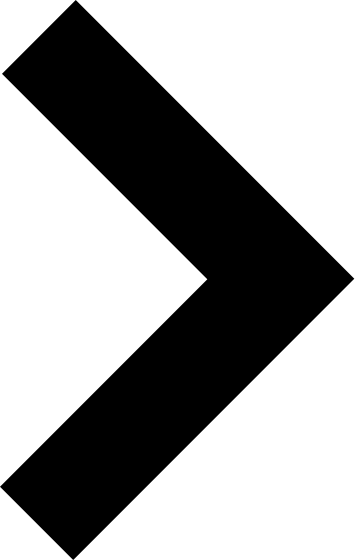 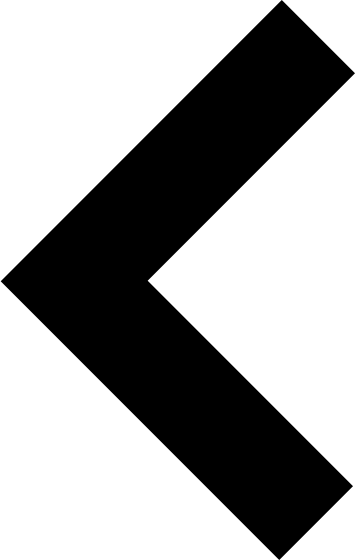 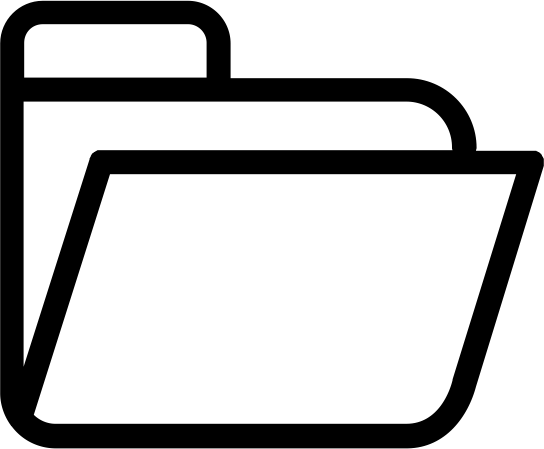 TVS is the only Indian bike maker which has been in professional racing at the national level (and now international) since 1984. 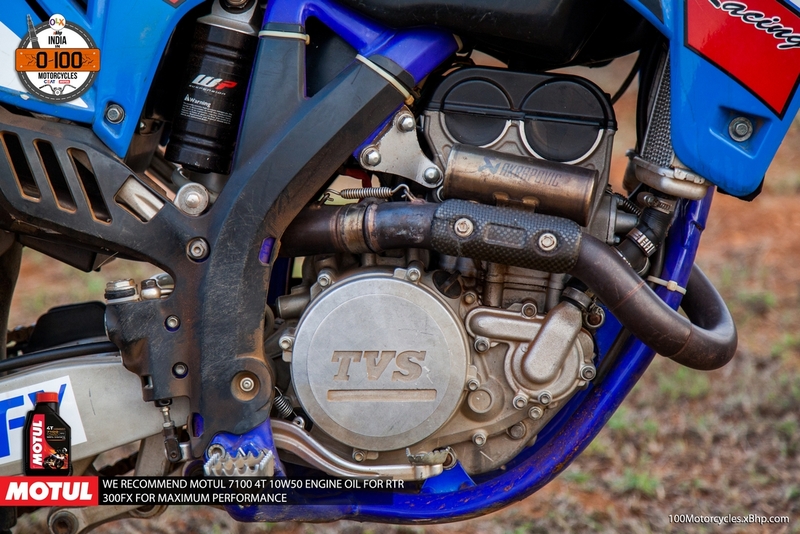 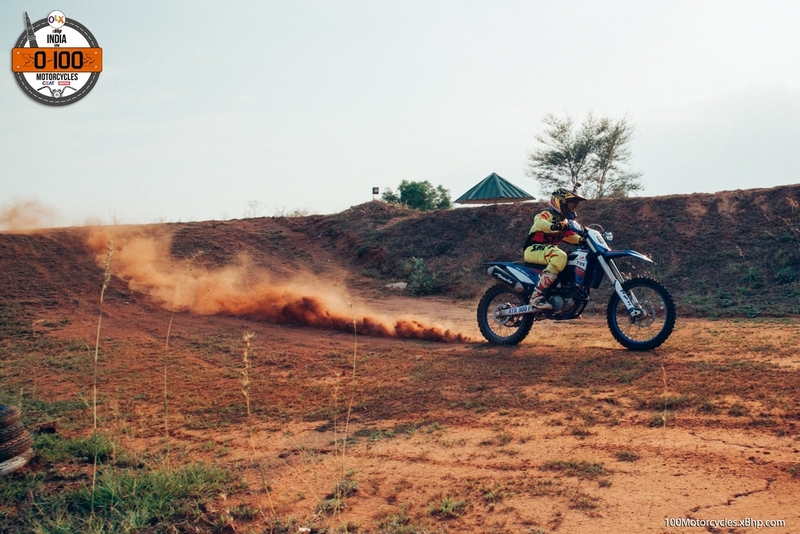 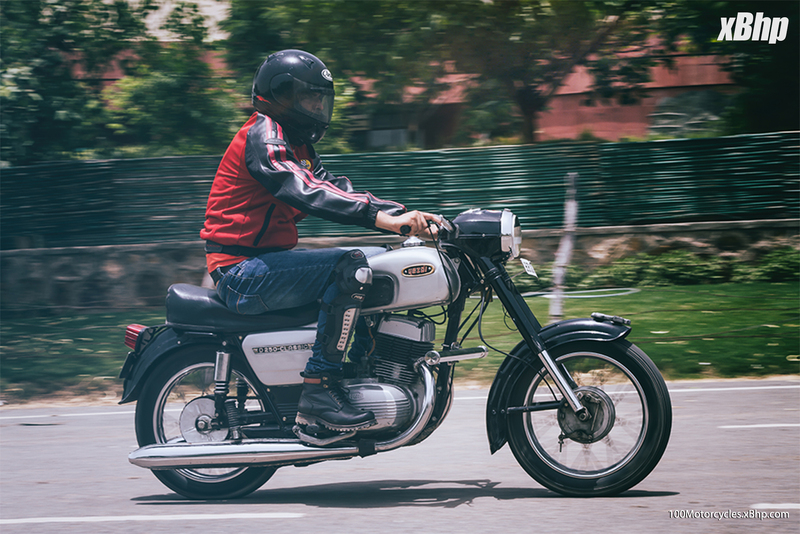 The ‘TVS Racing’ division was officially formed in 1987 and from then on the Chennai-based company has used their racing know-how extensively to develop their motorcycles especially the RTR series. 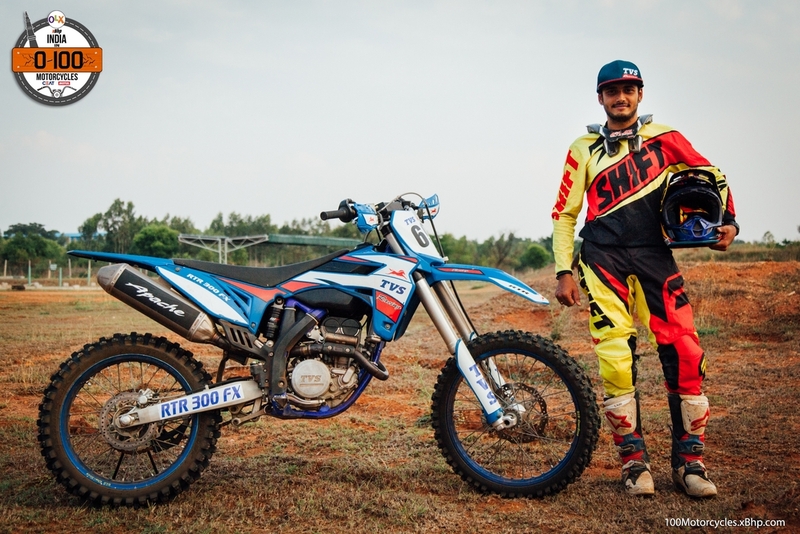 We would like to extend our best wishes to Arvind KP for the upcoming Dakar Rally 2017 which would start early next year. 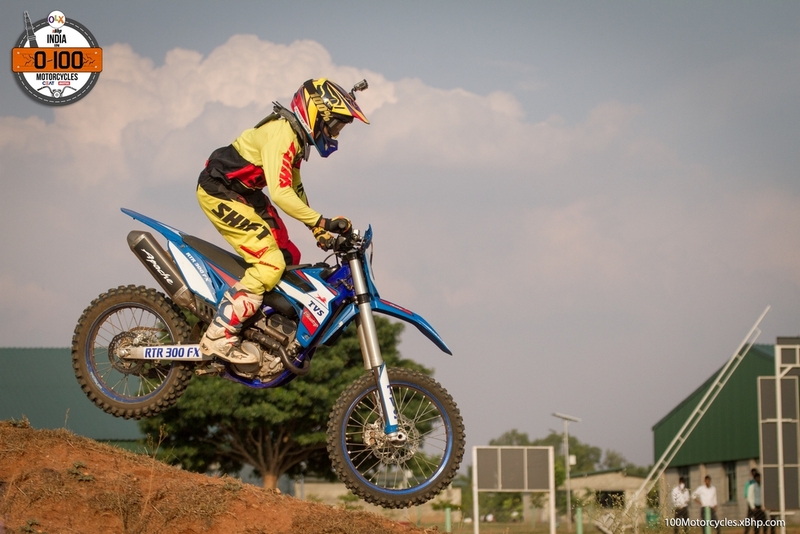 god lok in the indian gp.